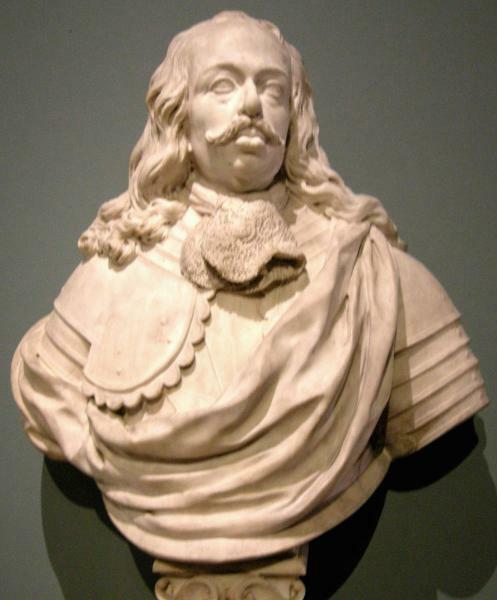 Foggini (1652-1725) was a native Florentine who became a court sculptor and architect to Duke Cosimo III. Foggini studied in Rome, and brought the Roman manner to Florence, though he is better known for his small bronzes, very popular with collectors in his day. His major works in Florence include the reliefs of the Corsini Chapel in the Carmine (as well as the redesign of the family's Villa Corsini a Castello the Capella Feroni in the Annunziata, the stuccoes in San Gaetano and restorations of the Palazzo Medici-Ricciardi. He also made the bust of Galileo for his tomb in Santa Croce, which was designed by his son Giulio.